Some roses are hardy to -40C (-40F), but most popular cultivars can be badly injured by temperatures below -23C (-10F). Choose varieties that are known to grow well in your area. 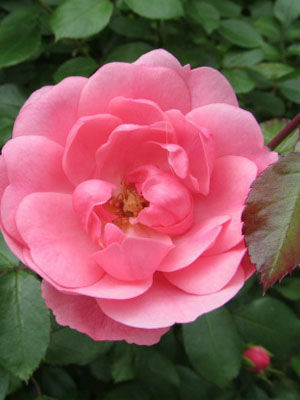 Plant bare-root roses while dormant during Autumn and Winter. Container-grown plants can be set out year round in most areas ifcare is taken to provide extra water in warmer conditions. Mulch after planting to keep the soil moist, and to limit splashing of soil onto the leaves.